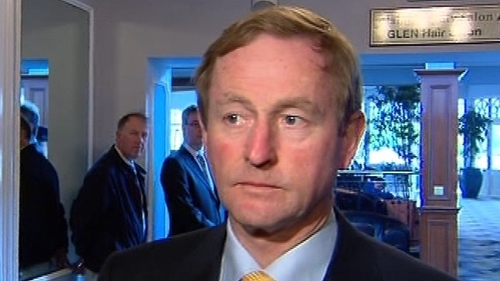 The Taoiseach has responded to criticism that he made promises regarding services at Roscommon County Hospital during the general election campaign. He said that, in fact, when speaking in Roscommon during the campaign he repeated the 'publicly known commitment', made in good faith by Fine Gael, over the retention of services at the hospital. However, he said the Government cannot ignore advice by HIQA that the provision of emergency services was not safe and that as a result this ‘element of Fine Gael's commitment is no longer tenable’. Mr Kenny said he regrets any confusion and it was never his intention to mislead anyone on the matter. The Taoiseach has come in for heavy criticism after the recording, taken while on the election trail in February, revealed him promising to maintain emergency department services at Roscommon County Hospital. In the recording Mr Kenny encouraged the people of Roscommon to vote for local Fine Gael candidates Frank Feighan and Denis Naughten, and promised to maintain the services. 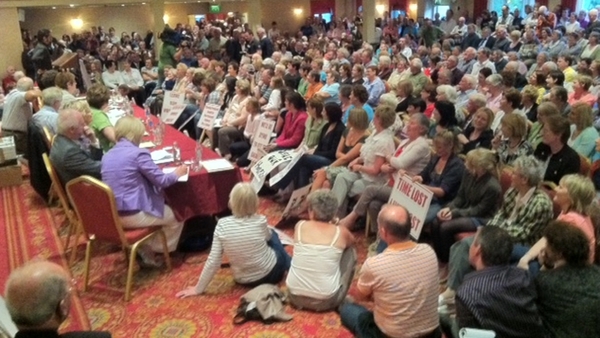 The recording was taken by Sunday Business Post Political Correspondent Niamh Connolly. Fianna Fáil leader Micheál Martin has claimed the Taoiseach made what he called 'reckless and disgraceful' election commitments that Fine Gael would not downgrade Roscommon hospital. Mr Martin added that not only was the promise broken, but Mr Kenny was denying that he made any promise at all. Mr Martin said Mr Kenny needs to come before the Dáil to correct the record and make it clear that he did make such a promise on Roscommon hospital. The Health Service Executive has confirmed that emergency department services at Roscommon County Hospital will close tomorrow to be replaced by an urgent care centre, which will treat adults with non-emergency conditions and minor injuries between 8am and 8pm seven days a week. All children in the catchment area should be brought to other hospitals with paediatric departments. From tomorrow, there will be four ambulances based in Co Roscommon, two of which will be in Roscommon town, as well as a 24-hour rapid response vehicle staffed by an advanced paramedic. The HSE has warned that in emergency situations people should ring 999 or 112, or make their way to hospitals in Ballinasloe, Galway or Castlebar. The Roscommon Hospital Action Committee has asked the Minister for Health, James Reilly, and the HSE to defer tomorrow's closure in the light of widespread confusion among patients and GPs about the level of care that will actually be available at the hospital from 10am in the morning. RHAC Chairman John McDermott has pointed out that the consultant surgeon who will supervise junior doctors working in the hospital from tomorrow onwards has said that the unit is effectively a minor injuries clinic and not an urgent care unit as has been referred to in a radio advertisement broadcast today by the HSE on local radio. The RHAC says the continuous use of the word urgent in the radio advertisements is continuing to confuse GPs and patients and there is a very real danger that people will turn up at the unit in the hospital with more serious or acute illness that cannot be treated in the morning. ‘In these circumstances a deferral of the closure is the only safe alternative available to the minister and the HSE,’ Mr McDermott said. The Minister for Europe Affairs, Lucinda Creighton, said the Taoiseach made commitments on Roscommon hospital in good faith, and his intention was and is to maintain the level of services in Roscommon which people expect. Ms Creighton said the problem is that the hospital is not safe in terms of emergency services and it would more than irresponsible for the Taoiseach or Dr Reilly to stand over a service that is not safe.